Taking a step back, I packed up the car, hooked up the wife, and headed down to New Orleans Louisiana. Lots to do, see, and take in. Mainly, just getting away. Also, be sure sure to stay tuned into the Site's Blog Post Page. Here, you'll find fresh and original resume submissions from job seekers (just like you) from around the world. Until the next time, Peace and Love to all. Be Encouraged! What are your thoughts? How can I make this publication More meaningful for you all? Please send me your thoughts and comments, good-bad-or ugly, regarding this newsletter topic via the eResumes4Vips Contact-Me page. Job searching, resume writing, and/or career changing is a very stressful time. This Stress can really dampen your Spirit; further zapping your energy and power. That's why I write encouraging words, tips, and articles designed to re-empower you and others. The Encouraging-People Blog is Powerful!...readership is absolutely free. No Sign-up or Opt-In. Go over to Encouraging-People now...Subscribe via feed or email. Enjoy! eResumes4Vips offers visitors FREE job search and resume building tools needed to make their own printable resume. Cutting-edge tips, tech-savvy tools, and career interest examples that successfully aid in finding and keeping your job. For feedback, comments, opinions, and general contribution toward this e-zine, please go to Visitors-Tell-Your-Story-Blog-Page and scroll to the page bottom to comment. All feedback is Greatly Appreciated! 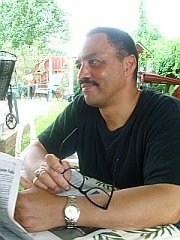 eResumes4Vips.com is published by Andre V. Milteer, M.A.